Is Hell an eternal punishment? Is it temporary? How can we morally understand we a potentially infinite punishment? 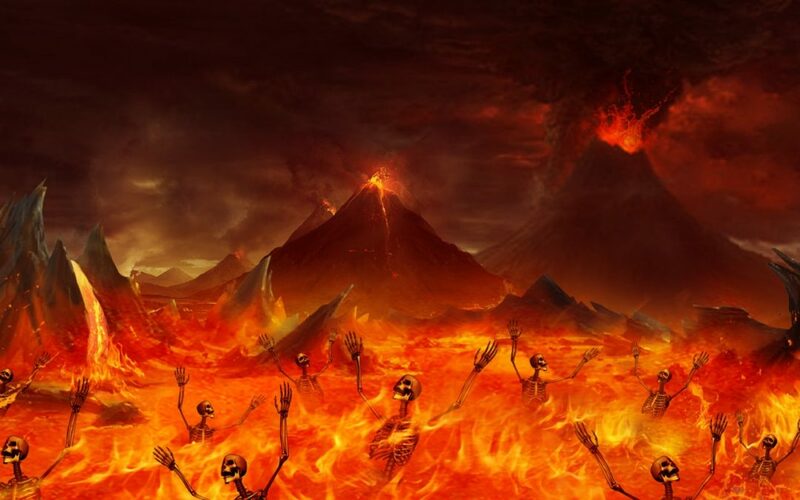 The Quran uses the word “Jahannam” to describe hell. The word literally means a very deep pit. It refers to a fire with which God will punish the sinners in the afterlife. In the terminology of the Qur’an, it refers to the location of afterlife punishments where evil-doers and unbelievers will be punished. All agents of the Hell are angels and servants who absolutely obey God. In the Islamic doctrine, there is no Hell the control of which is in the hands of devils. The Hell is totally ruled and controlled by God. According to a hadith from Imam al-Sadiq (a), the Hell is a torture for the sinners and is a mercy for its agents who work inside it. The main guard of the Hell who is called “Malik” is characterized in hadiths as being very ugly and stinky. The 19 guards of the Hell to which the Qur’an refers are characterized as being so frightening that if an earthly person looked at them, he or she would die immediately. The main question concerning the Hell is why evil-doers should endure such a hard and long punishment which is not comparable to hardships of this world with respect to its strength and eternity. The fear of the Hell is taken by religious doctrines to be a performance bond for religious rulings. The Qur’an has asked people to fear the Hell and protect themselves and their family from its fire. Several Qur’anic verses consider the Hell to be a “punishment” for one’s evil actions. In addition to frequent terms that imply punishment, the term, “nakal” (نَکال, reprisal) is also used, and God has been even characterized as being “muntaqim” (مُنتَقِم, avenger). According to the doctrine of the Embodiment of Actions, the punishment endured by evil-doers is, in fact, the real form of their own actions, and it is the actions themselves which take the forms of punishments and bring sufferings to them. No suffering is imposed on anyone from the outside; rather the punishment is the result of their own actions. The notion of the Embodiment of Actions is implied by some Qur’anic verses; however, it is most obviously stated in Sura al-Zilzal (99):8: “And anyone who has done an atom’s weight of evil, shall see it”. In another verse of the Qur’an, usurping the possessions of an orphan is identified with eating the fire. In the initial picture given of the Hell, its dwellers can never go out of it and will be punished there forever. What reinforces this initial picture is that there is no death in the afterlife; dwellers of the Hell will never die, although all conditions that lead to death in this world are present. They do not die, and they never go out of fire. There is a hadith according to which the death is brought to the scene on Dooms Day in the form of a goat—in a way that everyone will recognize it as death—and it is slaughtered, so that people are disappointed from getting rid of their sufferings by death. There are many Qur’anic verses concerning the eternal punishment in the Hell for evil-doers. The Hell is sometimes referred to as “Dar al-Khuld” (دارالخلد, House of Eternity) and “‘Adhab al-Khuld” (عذاب الخلد, Eternal Punishment). According to some People of the Book, those who enter the Hell will only be punished there for a few days and they will then be saved from the fire.] However, their belief is strongly reproached in the Qur’an. However, there are few remarks in the Qur’an that led some Muslims to the belief that there are temporary punishments in the Hell as well. Sura al-An’am (6):128 talks about some people dwelling in the Hell forever, but it then qualifies it with the phrase: “except what God wills”. Thus, some exegetes of the Qur’an maintained that some dwellers of the Hell might find a way out of it one day. There is also a Qur’anic verse according to which sinners “will dwell therein for ages (ahqab, أحقاب)” (78:23). This verse has also led some exegetes to believe that the Hell will be a temporary place, at least, for some of its dwellers. According to a hadith, “I swear to God no one will be saved from the Fire unless they stay there for “ahqab” (أحقاب, ages), each “haqb” (حقب, age) being over 80 years. And if the dwellers of the Hell are told that they would stay there for as many years as all the sands in the world, they would still be delighted”. Dwellers of the Hell who will be saved from the fire after enduring some suffering for their evil actions are considered by some hadiths to be Muslim sinners. According to some hadiths, whoever has a little bit of belief or faith in their heart will be saved from the fire one day. And sometimes people are saved from the Hell by the intercession of some saints of God, while they have turned into ashes in the Hell. Hell is the manifestation of the evil deeds that a person has done that have not been forgiven.